This guest post was written by Neha Singh, a postgraduate in Mass Communications, who loves everything about life. 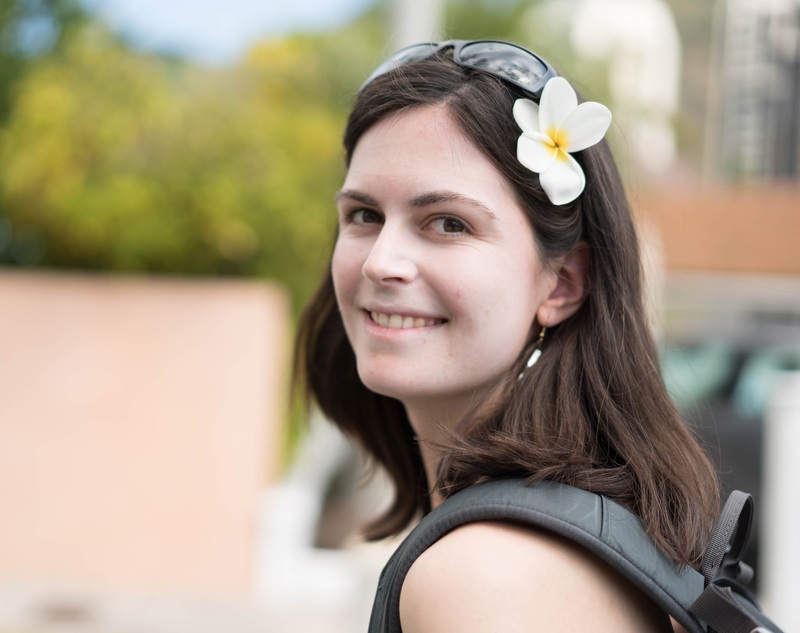 Traveling is extremely close to her heart and writing came to her naturally. An avid trekker and explorer, who often takes off some time from her busy life for mountaineering. She loves meeting new people and gets attached to their culture very easily. Her ambition is to explore as many places as she can in her life. She strongly believes in Gandhian principle – “simple living high thinking”. If Abu Dhabi were a painting, it would be a magnificent collage of incredible architecture, traditional and cultural monuments, stunning beaches, water adventures and sports, and premium ultramodern shopping plazas. The city is a wonderful mix of traditional ethos and modern commercialism and contemporary culture. In other words, it’s a definite tourist’s paradise. Here are the must-see places in Abu Dhabi when you’re visiting. Yas Island is simply beautiful; entirely manmade, it is the hub for leisure, shopping, entertainment and adventure, all rolled into one. The Yas Marina Circuit is a high-end motorsport venue, where you can watch Formula One races. 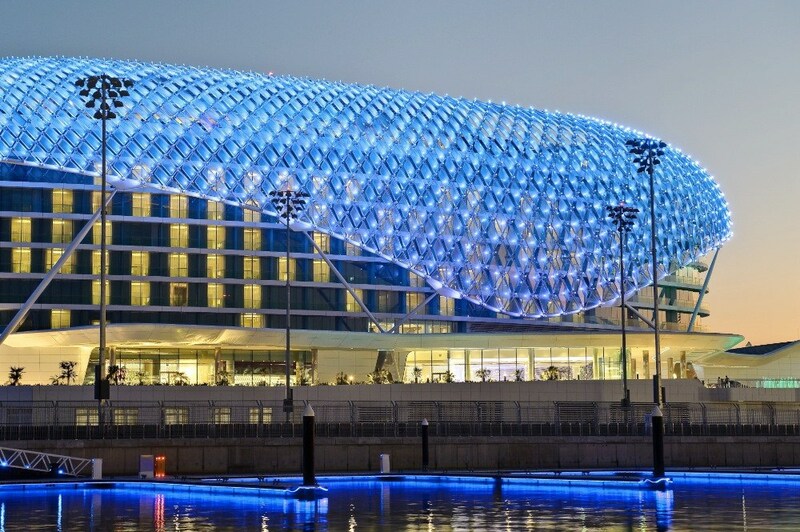 The Yas Mall offers some great retail therapy while the Yas Beach offers a number of water sports and water adventures. Yas Island is also home to Ferrari World, home to the biggest and fastest rollercoaster in the world, the Formula Rossa. There are several other roller coasters and immersive attractions at the Ferrari World for both young people and the not-so-young. Be sure to sign up for a mangrove tour on kayaks when you’re in Yas Island. Put aside an entire day to visit Saadiyat Island. The recently opened Louvre Abu Dhabi is located on Saadiyat Island, the culture hub of Abu Dhabi. The Louvre hosts over 30,000 artworks and artefacts, many borrowed from museums in Europe and around the world, notably the Paris Louvre. The architecture of the Louvre Abu Dhabi is simply marvellous. The Louvre is one of the best places to see in Abu Dhabi. 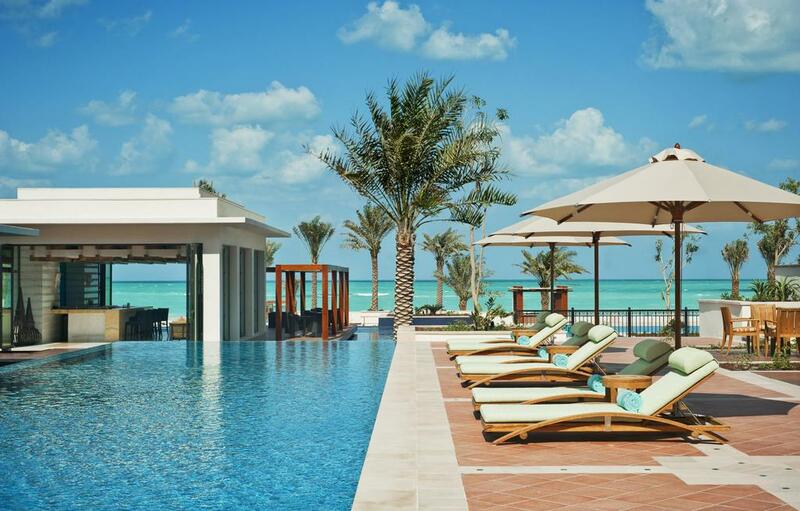 The Saadiyat Public Beach is a full package of leisure and recreation. The beach offers delightful bistros, retail therapy and water sports aplenty. You can go kayaking, take beach fitness classes, relax, sunbath and do some stand-up paddle boarding on the beach. Al Lulu Island is a hub of exciting activities with its amazing beaches, turquoise blue waters, water sports and beach activities. The island is one of the popular water sports destinations in the city. 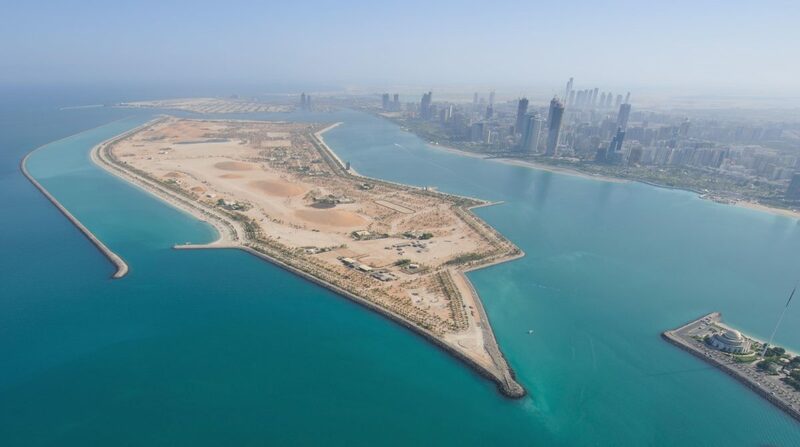 Al Lulu Island extends from Abu Dhabi Breakwater to the Zayed Sea Port. Enjoy the lively beach environment, comfy shacks and beach shops that sell souvenirs. The Sheikh Zayed Cricket Stadium and St Joseph Catholic Church are also on Al Lulu Island, so take the time to admire them. 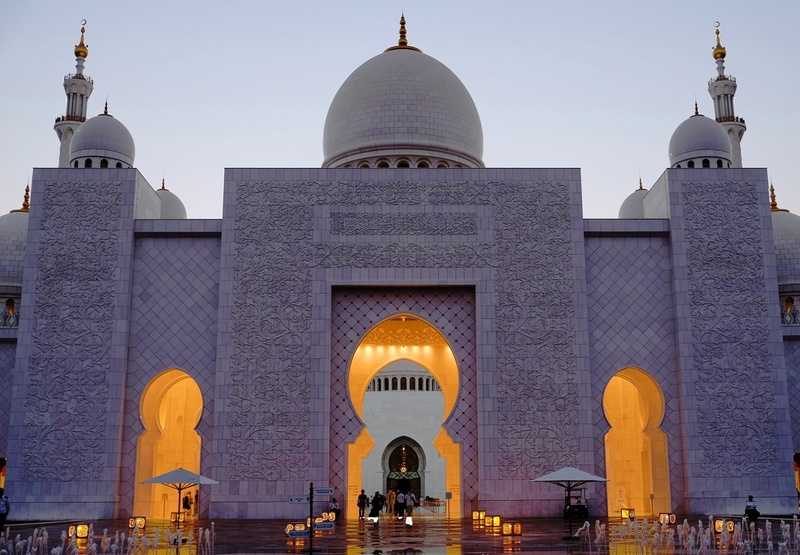 The supremely elegant architecture of Sheikh Zayed Grand Mosque with its elegant marble columns, domes and minarets makes it one of the prime attractions in Abu Dhabi. 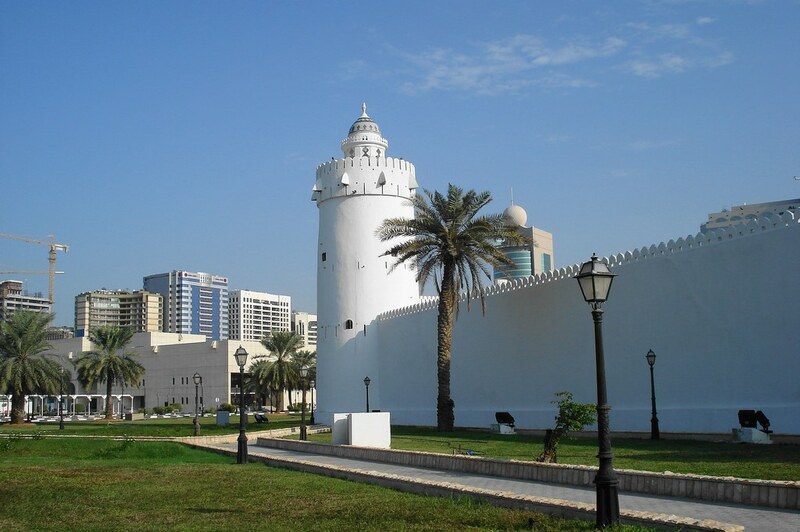 The mosque was built in memory of the late Sheikh Zayed bin Sultan. Apart from being a religious centre, the mosque also serves as an educational and culture hub. The pillars are carved and set in semi-precious stones. The domes and minarets shine with a righteous glow, while the magnificent library simply sparkles. During sunset, the entire mosque is reflected in the reflective pool outside. Mushrif Central Park is a haven for nature lovers. Centrally located, Mushrif Central Park contains a botanical garden, children’s garden, animal barn, and wisdom garden and park pavilion. There are wonderful eateries here such as Burger Bureau and Park Station as well. Stroll around the lovely park on a hot afternoon and feel the breezes caress your skin. It’s a lovely place to unwind and relax from a day of sightseeing. Dalma Mall is more than just a mall; it is a house of fun and adventure. 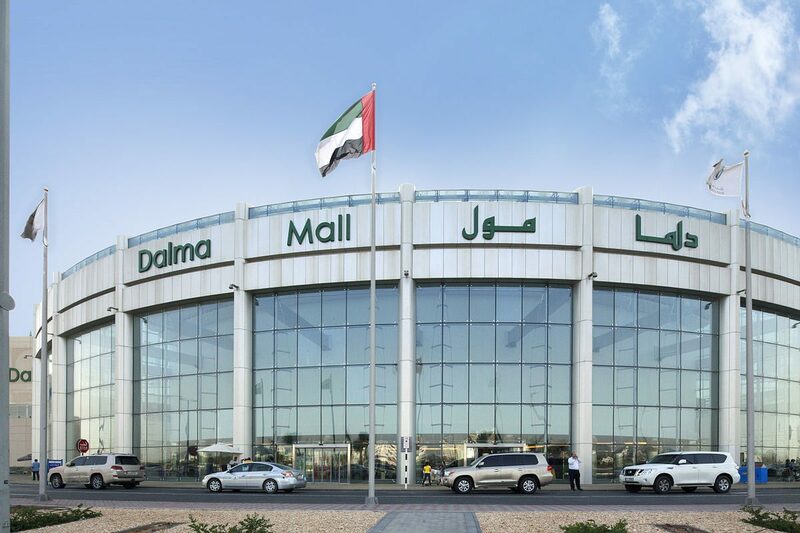 The largest mall in Abu Dhabi, Dalma Mall houses over 400 retail outlets. Your kids will enjoy some play time at Fun City, so don’t forget to take them there. Have a movie date at the Cine Royal, and enjoy outdoor adventures such as camping, fishing, diving, hiking, cycling and water sports in Adventure HQ. Adventure Zone is an indoor adventure park that features a pump track, an indoor skate ring, trampoline park, boulder wall, party lodge, cable climb and much more. 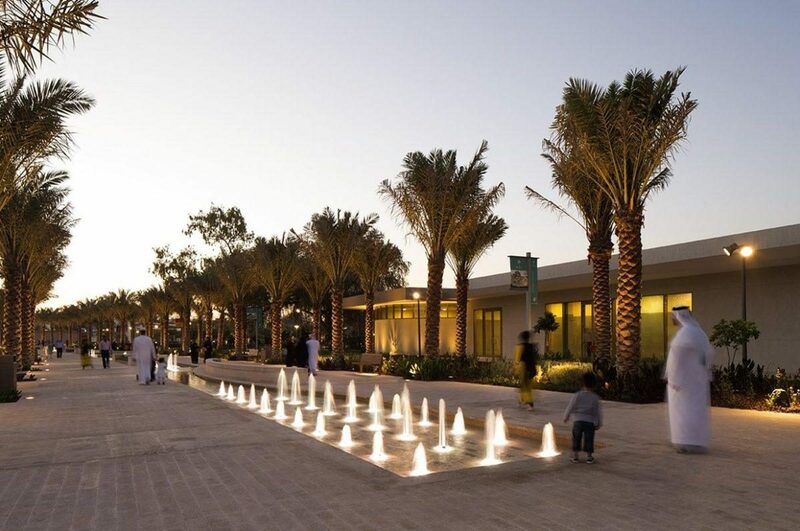 The Abu Dhabi Heritage Village is your chance to experience typical Emirati life. 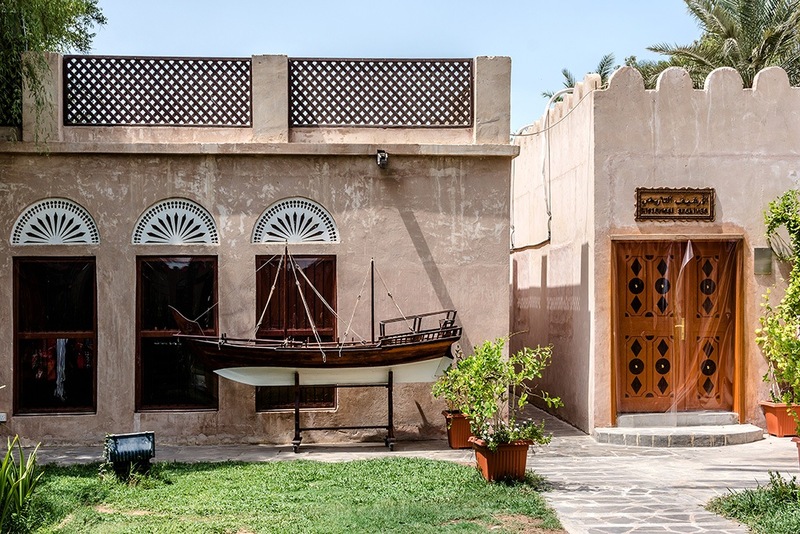 Located on the shores of one of Abu Dhabi’s beaches, the Heritage Village is filled with wind towers, sand houses and old tools and artefacts to emulate the way the original Bedouins lived in Abu Dhabi. You can watch the Bedouins cook, grow food and dive for pearls in this replicated Bedouin village. 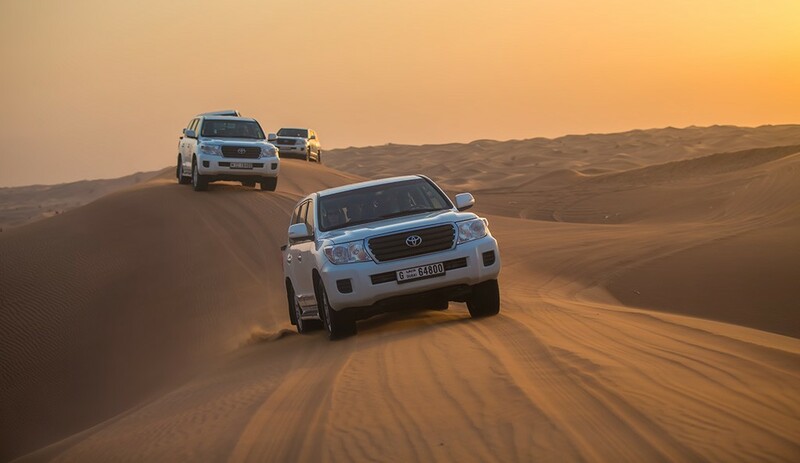 A Desert Safari Tour Abu Dhabi is one of the most adventurous treats you can give to yourself. There are several desert safaris to choose from; the Morning Safari where you can go dune bashing and quad biking to your heart’s content. The evening safari where you can enjoy the sun setting over the mystical dunes and set up your tripod to capture some pictures. The evening safari concludes with a rousing dinner and some in-tent bellydancing and Tanura dancing. The overnight safari includes a blissful night under the stars after the fantastic dinner and entertainment. The highlights of all three safaris are morning sunrise, evening sunset, camel rides, great dinners and some fabulous entertainment after you’ve had your fill of desert adventures. Qasr Al-Hosn is the first permanent home and the once-upon-a-time residence of Abu Dhabi’s ruling family – the Al Nahyan family. If you want to know how the city developed into the metropolis it is today, then visit the exhibition at the Qasr al Hosn Centre. You’ll see dioramas of pearl diving villages and artefacts from the original Bedouins who had made their life here first. There are live music and dance shows to watch during the annual Qasr al-Hosn festival as well during February every year. 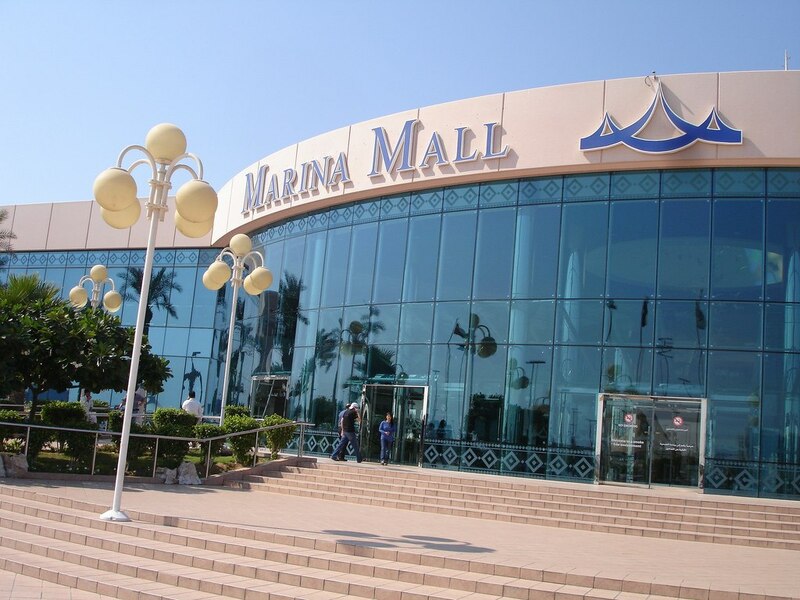 The Marina Mall is located close to the Emirates Palace Hotel. One of the biggest and most luxurious shopping malls in Abu Dhabi, Marina Mall is the place to head to if you want to enjoy fashion and entertainment under one roof. There’s a bowling alley, ice skating rink, movie complex, a 100 metre observatory, a musical fountain, plus a 4-storied area for retail outlets selling items of every description from leading brands. Abu Dhabi is filled with such an extravagance of cultural and contemporary attractions that you’ll be left wondering what to see and what to miss. If possible, spend a good amount of time in this city and see everything it has to offer. Spend a good amount of time in the Louvre, to check out the incredible works of art displayed there. We can assure you that you won’t have a dull moment when you’re in Abu Dhabi.